I have nothing else to do than browsing website and buying things online because my camera is broken and I do not know how to live without posting anything! A lot of my time now goes in buying online and reading (good for me *wink*). 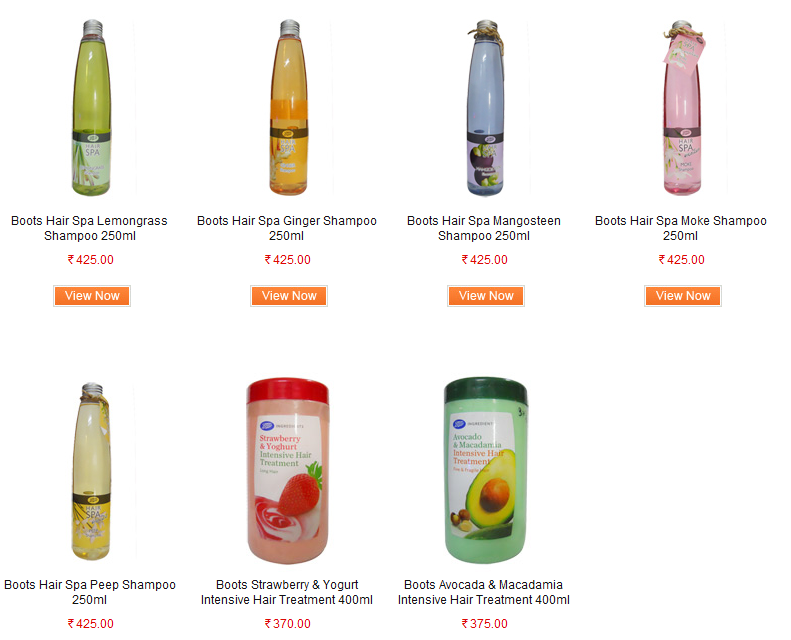 And just now I found something really amazing - BOOTS products online!!! And that too in our very know website - Stylecraze!!!! PPS: Pooja of IVC is the luckiest person for me. Only today morning I was cribbing that I need Boots stuffs and I am not getting any XOXO. Got your blog link from Mehak's blog..
Plz do letme know if thrz some site which has it and delivers it in India.